Although Kaunas no longer possesses the stigma of its former—and once well deserved—reputation as being an overtly intolerant and depressingly provincial destination, it’s still got a long way to go before visitors who use wheelchairs will be able to visit every museum in the city for example. The same situation stands for non-heterosexual visitors to Kaunas, who may find it difficult to believe that the second city of an EU member state currently obsessed with its forthcoming status as European Capital of Culture still doesn’t possess a permanent gay bar or club. 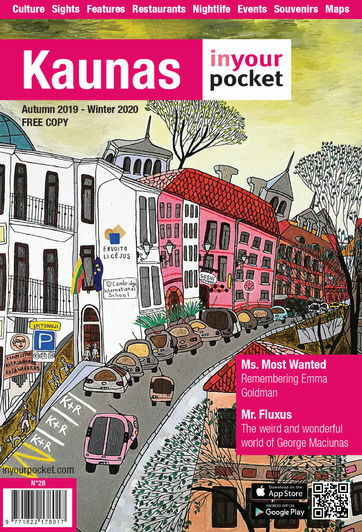 There are however a couple of unoffical organisations in Kaunas that organise the occasional event in the form of We Are Propaganda and Gender Wrongs where like-minded visitors to the city can feel at home. For things that are open all the time until Kaunas finally arrives in the 21st century and becomes a truly tolerant city, LGBT visitors who’d like to eat where they feel welcome should visit Ridikas and those who like to go clubbing in a safe and welcoming environment should head to Lizdas. Both of these last two venues are featured in Friendly City Kaunas, a free map published every summer and distributed around the city that lists everywhere at least claiming to be tolerant towards the LGBT community.